Emerging from a week engulfed by the furore of the phone hacking scandal, Ed Miliband strode confidently towards the summer recess, riding high on his first major victory since becoming Labour Leader last autumn, reports Mike Indian. The perfect storm coalescing has left few egos unbruised and reputations intact. Yet, Mr Miliband is one of the few senior politicians to actually have seen his credibility increased by the turbulent events over the last fortnight. In setting out his stall early on in the form of the Commons motion calling on News Corporation to abandon its bid for full control of BSkyB, Mr Miliband rapidly emerged as the rallying point for opposition in Parliament. In stark contrast, David Cameron has appeared supremely uncomfortable in the exercise of his power and leadership. It was only when the gales of public opinion threatened to uproot his political antenna that he ordered Conservative MPs into line with Labour for Wednesday’s Commons debate. One could almost suspect that the two leaders may have changed places. Timid assurances of inquiries and an obsession with technical details, like the ongoing police investigation, left the Prime Minister exposing the same flaws that have marked Mr Miliband’s weaker performances in Prime Minister’s Questions. In the end the humiliation was compounded. It was Mr Miliband who gently took his hand and steered him in a gradual u-turn to the immediate establishment of the inquiries over the cause of the week. Yet, Mr Cameron’s natural caution can partly be explained by just how close to the edge this week has brought him. The wisdom of his close, governing clique and questions about his personal relationships with Rebekah Brooks and Andy Coulson, both of whom have been arrested as investigations into the scandal progress, have brought about a crisis of confidence in his judgement. At his weakest in Downing Street, Mr Cameron has wobbled in the face of overwhelming public opposition, forgetting that clear and decisive judgements have served him well in the past. Not to wipe the slate clean, but at least to implement much needed damage limitation. As it is, Mr Cameron must admit he has been outmanoeuvred by a man he had previously lauded it over at their weekly clashes. For Ed Miliband though, leadership and initiative also present another opportunity to break with the ghosts of the past. Rising from the political graveyard, Gordon Brown’s deluge against News International threatens to drag the spectre of New Labour back into the public arena. Further scrutiny of the previous government’s 13 year marriage to the Murdoch media lies ahead and it could be the remains of a messy divorce that Mr Miliband will want to be far removed from. For the sake of his party’s quest to rebrand itself, he needs to leave the past where it belongs, on the backbenches. Ed Miliband may have come of age in his leadership this week, but he is a long way from being Prime Ministerial. A long road of new policies and ideological redefinition lie ahead. He has, however, finally proved himself as Leader of the Opposition. Not really sure how many people would agree with you there, Lib Dems were up in the Polls at the cost of Labour with Torys staying still. This coupled with the continued shambles that is Ed Miliband in general, still makes him look like a second string politician wearing shoes two sizes too big. On top of this the very fact that Ed Miliband appointed Phil Woolas to his front bench knowing that he was facing a fraud charge makes his attack on Coulson-Cameron relationship laughable. Coulson had, at the time, not been placed under investigation and seemed to be free of any wrongdoings. However it was Cameron hiring a man that may have possibly, maybe, potentially broken the law in secret who is lambasted rather than Miliband himself who hires those who are currently being investigated! 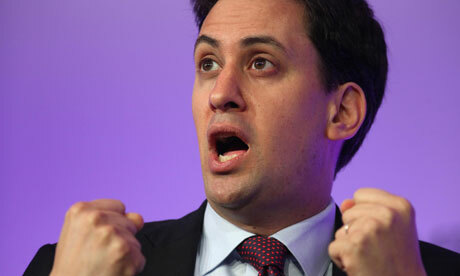 I think the real test for Miliband will come when the Labour Policy Review has finished. The Labour Party desperately needs some policies, and some new thinking even more. To be honest I don’t fancy Ed’s chances of introducing either. He was the author of the party’s 2010 manifesto, which as I understand it was rather mediocre. He can ride a tide of popular resentment against the cuts for a while, but if the economy improves I feel he may have to change his tactics. Well done on the article Michael.